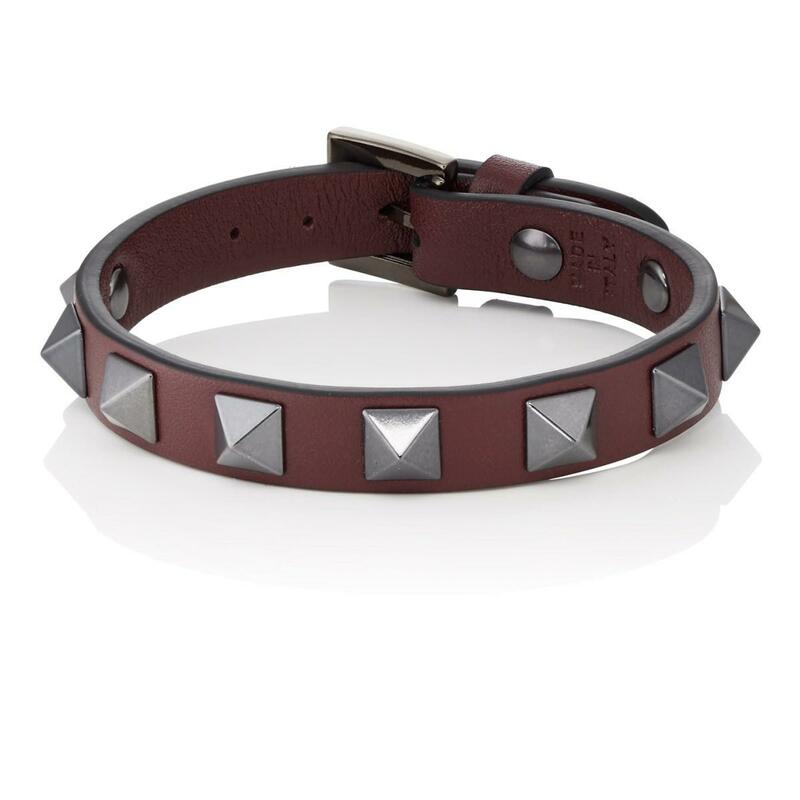 Crafted in Italy, Valentino Garavani's burgundy grained leather Rockstud bracelet is embellished with the house's polished ruthenium-plated brass signature pyramid studs. 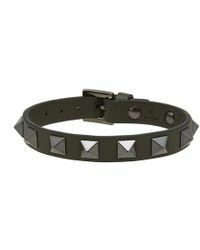 A hallmark of the brand's celebrated Rockstud Collection, the studs add an edgy, streetwear touch to this piece. Logo stamped at buckle. Polished ruthenium-plated brass. 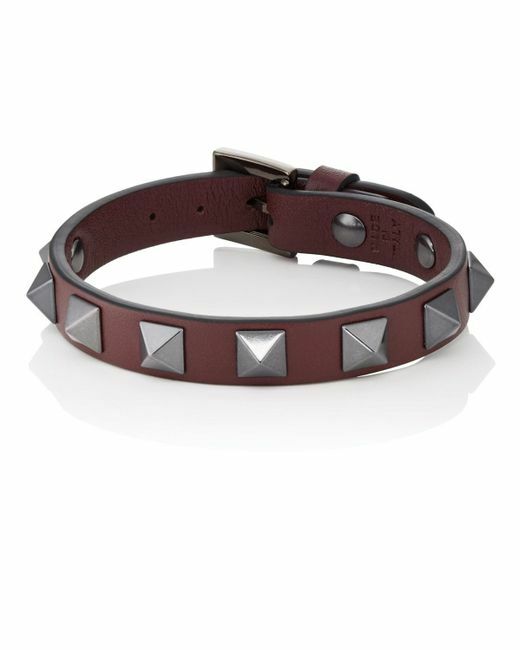 Leather. 1cm band width, 22cm maximum interior circumference (approximately). 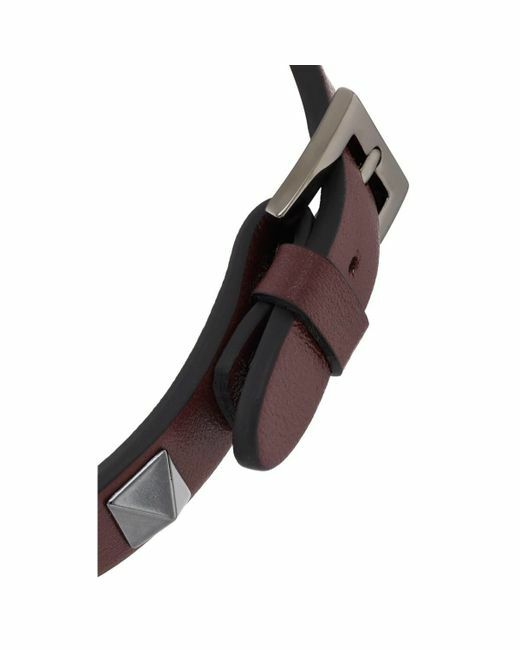 Buckle closure. Made in Italy. 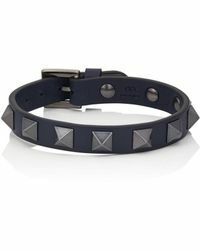 Valentino Garavani Men's Rockstud Bracelet - Wine A great designer gift. 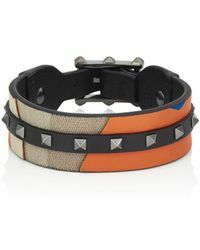 Shop Valentino Garavani at Barneys New York.